Happy Friday everyone! It's Barb here to host the blog today!! I was thrilled when the Club Q kit arrived at my door a few weeks ago and couldn't wait to dive in! 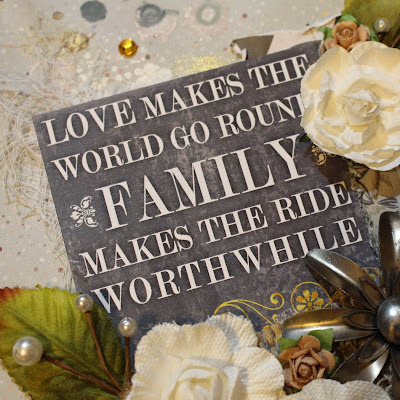 It is packed with sooooo many fun embellishments and fabulous papers! 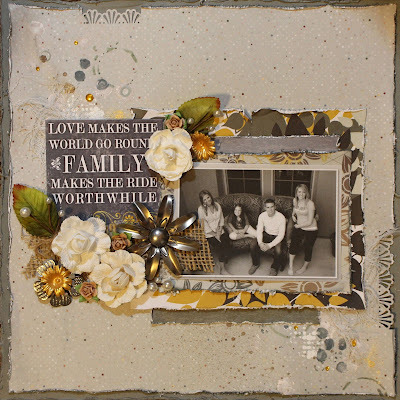 The kit this month features the Antique Garden line of papers. 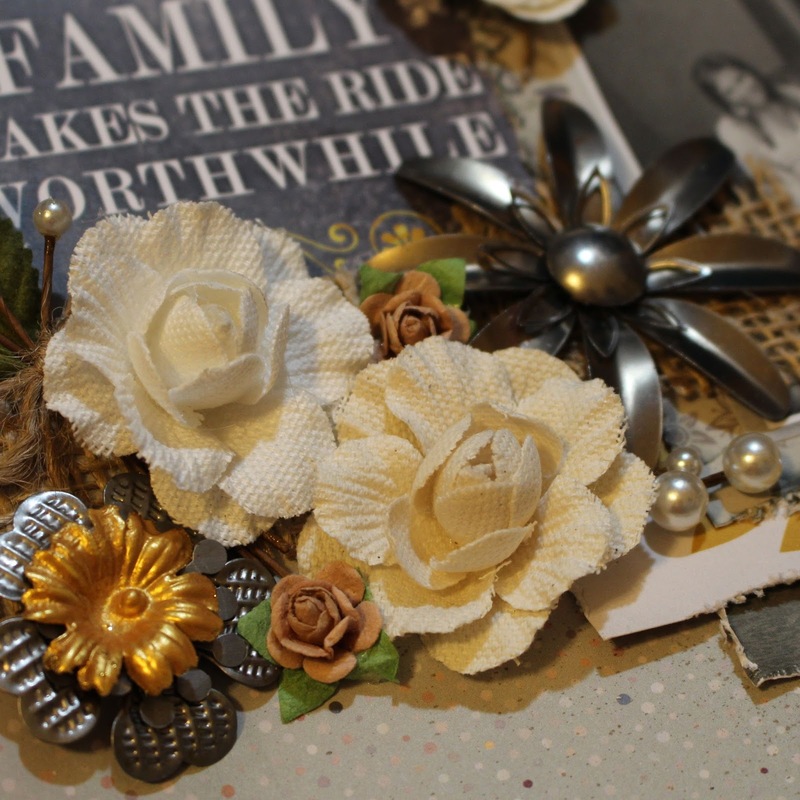 I love the grays, golds and browns! Included in this kit are these amazing metal flowers! 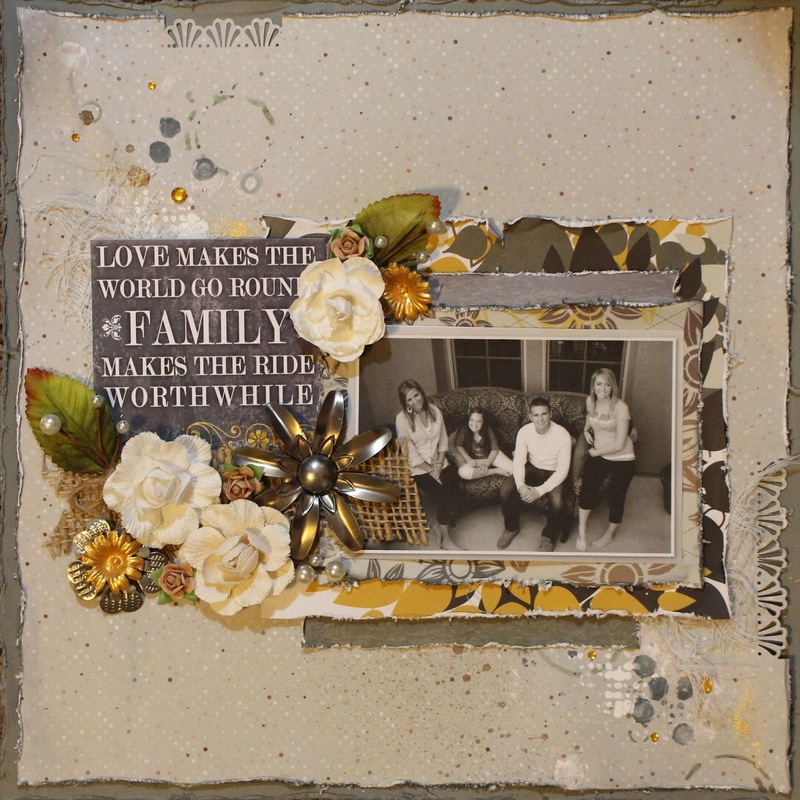 I love the way I could add them to the flower cluster for added color and texture! This was a quote that was part of the kit. I adore the saying and thought it was perfect for my photo of my kids! If you are not a Club Q subscriber, you need to check these kits out! They are packed full of papers, ribbons and fun embellishments! Gorgeous layout - especially love the flowers!